That this tour is strictly business is likely to be confirmed with the announcement tomorrow of the team to play Japan in Hamamatsu, less than two hours by bullet train from Tokyo. Five players made their Ireland debuts in New Jersey last Saturday. Of the remaining three uncapped players on tour, John Cooney, Rory O'Loughlin and Kieran Treadwell, the Ulster second-row seems the best placed this time around. 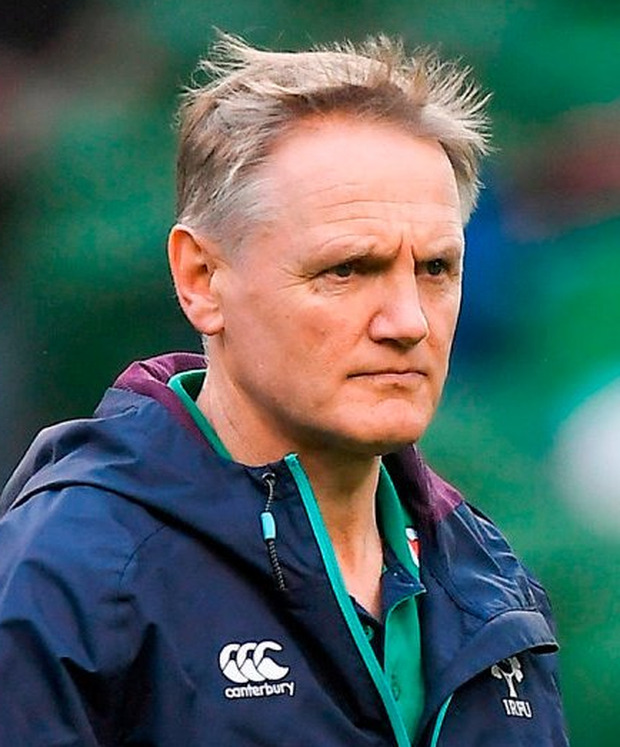 Joe Schmidt made it clear to all at the outset that inclusion in the squad didn't automatically translate into game-time on the pitch. He cited last weekend the All Blacks' use of an apprentice system to give prospective Test players a close-up of what was involved on their November tours, without having to drop them in at the deep end. It's a road Ireland went down, perhaps for the first time, in 1999 when Jeremy Staunton was brought on the trip to Australia in June ahead of the World Cup to follow in the autumn. We're not sure what the terms of that deal were but it would be more than two years before the Garryowen man won the first of his five caps - against Samoa. Coincidentally his next two came four years later, in a two-Test series in Japan. The circumstances are different now. Whereas back then Eddie O'Sullivan already had a fixed idea of who he wanted to bring to France for the World Cup two years later, Schmidt is dealing with a different age profile. Then as now the Lions shaped the colour of the summer squad for Ireland. And he would hope that three of the five who got their break last weekend - Jacob Stockdale, Andrew Porter and James Ryan - will all be on board when he brings the squad back here in two years. The other pair - Rory Scannell and Dave Heffernan - may also make the cut, but the trio from last summer's U-20 World Cup already have a look of permanence about them. For now the prospect uppermost in Schmidt's mind is getting out of Japan without adding to the hosts' growing reputation on the world stage. As this point it's not at all clear that the Japan Rugby Union have a handle on what is required to tick all the boxes around hosting Test matches, never mind running a World Cup, but we'll get a better handle on that soon enough. What is inarguable is that despite a few expected changes from coaches Jamie Joseph and Tony Brown, they will be very competitive on Saturday. The worrying thing for Ireland was the quality of Japan's first 50 minutes last weekend, where they put Romania away - visiting coach Lynn Howells said his lads couldn't speak for the first half-hour such was the heat, humidity and pace of the game. So Schmidt will throw in the vast bulk of the starters who rendered the Eagles flightless in New Jersey. The arrival of Paddy Jackson was perfectly timed given the injury to Joey Carbery, so barring a similar calamity for himself he'll start the next two Saturdays. Simon Zebo will also get on from the start, as should Andrew Conway. Up front it's hard to see Schmidt straying from the pack who were far better than their opponents, yet have a fair bit of improving to do." Possible Ireland team: S Zebo; A Conway, G Ringrose, L Marshall, K Earls; P Jackson, K Marmion; C Healy, N Scannell, J Ryan, Q Roux, D Toner, R Ruddock (capt), J van der Flier, J Conan.